I will fill you all in later… but this meeting went well. 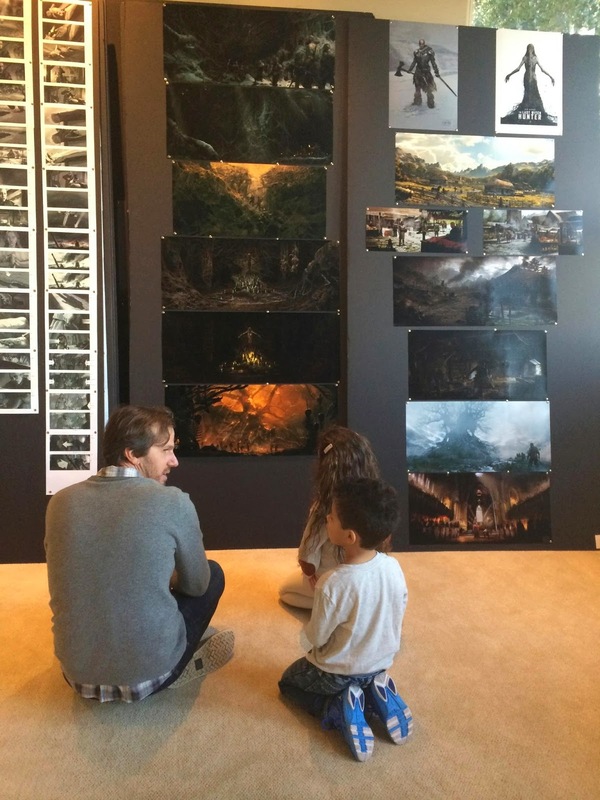 Hanging on the wall you may see a few concept art pictures of The Last Witch Hunter! The plot hasn’t been officially announced yet, but from what I read here and there, it would revolve around an immortal witch hunter who has to partners with his natural enemy, a female witch, to stop the evil covens of New York City from unleashing a plague on mankind. It’s kind of like Riddick vs Maleficent? Well sign me up for The Last Witch Hunter! Let’s hope the project will go ahead and will start filming soon! Anyway, stay tuned with us for more details about The Last Witch Hunter!